The Vikings will face Three NFC teams this pre-season, two of which are both contenders and 21st Century rivals! Click to read! That was then, this is now and the Vikings have become such a commodity that theyre basically out of money to spend on free agents. Yay? I guess? Cough. So, theres that. NFL draft's 100 biggest busts: Which picks, trades proved to be whiffs? From Ryan Leaf to JaMarcus Russell and more, the NFL draft has an extensive history of top picks who would only be remembered as busts. 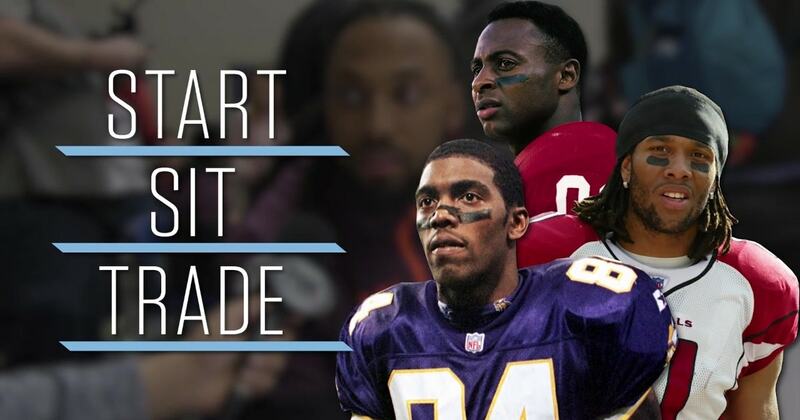 We ask NFL prospects who they would start, sit, and trade between Randy Moss, Jerry Rice, and Larry Fitzgerald. The Carolina Panthers own the 16th overall pick in the NFL draft — historically, what have teams done with that selection? Four Cowboys, including the former quarterback, share their tales of playing alongside and watching the 7-footer in a football town that embraced Dirk. John Rooke makes the case for Bill Parcells to be in the Patriots Hall of Fame and gives a glimpse inside the nomination process. As the league trends younger, Philadelphia changed its approach, adding value now with an eye toward Carson Wentz's upcoming big-money years. No recent tweets from Randy Moss.